For the past eight years, I have been refining "The Sable"
- a rod built with a combination of bamboo and African antelope horn. 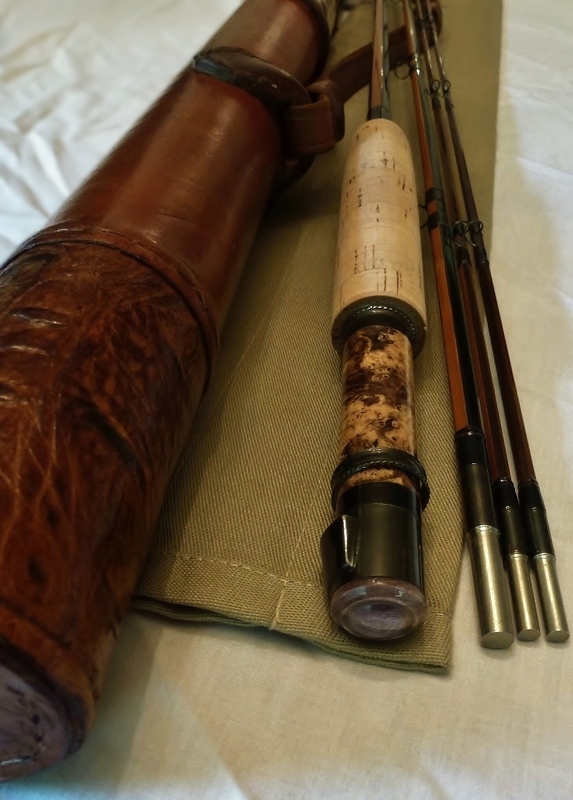 * My interest began many years ago, after a conversation with someone who was a hobbyist bowyer and archer, I considered the different taper designs and heat tempering materials rodmakers use to affect the action of a particular rod. I understood that a 'fast' taper keeps the energy of a cast high on the blank for accuracy, and a 'slower' taper stores the energy lower in the spring of a blank for gentle application of power in the forward cast. And in most cases, bamboo, the primary material, remains constant. 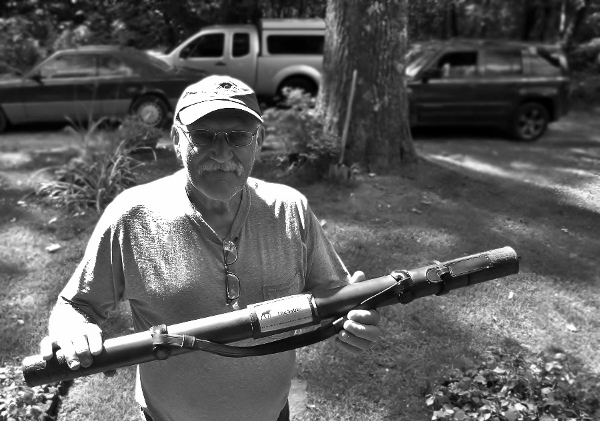 Some rodmakers such as Eustis Edwards, Lyle Dickerson, and Pinky Gilliam developed faster tapers (typically) for the purpose of providing quick accurate casts, often at a riseform with dry flies, sometimes for the purpose of bulls-eye accuracy during a float trip. 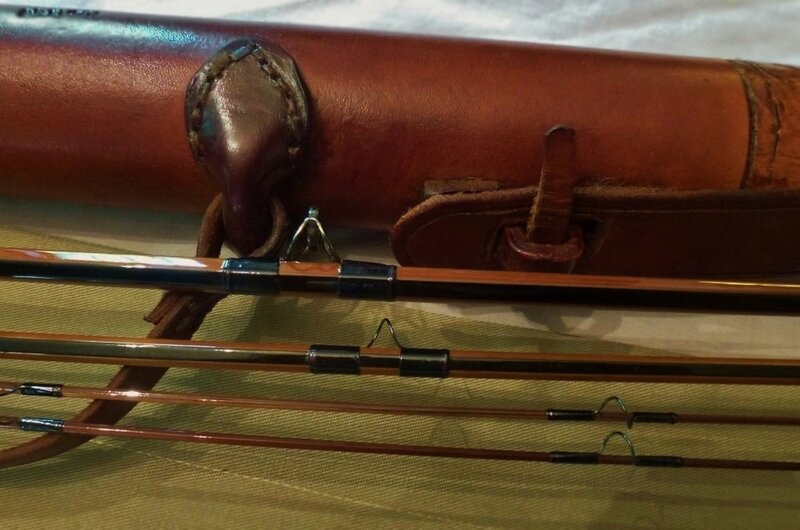 Other rodmakers designed rods that focused on spring and ease of casting (often wet lines) with less accuracy, not needed in prospecting and covering areas of water. Others experimented by modifying the modulus of natural materials - primarily bamboo - for slower and fast compression and energy storage within the lever/spring range using heat. Hollow-building moves the total structure of a rod to the outside, allowing for tensile and compressive forces to act with less interference from internal shear forces. Therefore, the most ‘effective’ portion of the taper dimension will control the action of the rod, providing a more responsive performance. Theoretically speaking, much of this - in the age of graphite, kevlar, boron and refined fiberglass - can be accomplished with modern materials. I say theoretically, mainly because of the nature of the process of construction of modern rods. Graphite is cut and rolled from a scrim onto a mandrel that cannot adjust the nature of the taper as finely as a hand-built rod. One of the aspects attributed to antelope horn by bowyers is its quality of compression - their horns can withstand 300lb animals fighting within the herd without breaking or killing the competitors. The elasticity and strength give the material the ability to rebound after impact and store energy without breaking. In one sense, their horns act like a rubber bushing on a tight spring or a recoil pad - in another, like an energy storage device that prolongs the release of compression during a long cast. Combined with a fast (accurate) taper and heat-tempered bamboo, the higher energy storage can release over the whole cast as opposed to only during the 'unload' of a particular part of a taper. As is typical of heat-treated bamboo, faster material becomes brittle, lacking some of the internal lignum fiber-adhesive; anyone who has seen a large number of heat darkened rods might have noticed that many built over 50 years ago have broken tips - especially those with fine tips. These rods perform superbly when casting, but are less forgiving when accidents stress the material beyond its design - think pulling snags in brush, screen doors, stepping on line, etc. The fast, accurate, aggressive tapers combined with highly heat-treated bamboo simply do not last as long in the real world. Combining faster tapers with the compression of antelope horn with hollow-building and highly tempered bamboo seemed to me a natural (albeit labor-intensive) solution. Following multiple prototypes and taper configurations and the painstaking craftsmanship of using all-natural materials, I landed on "The Sable." The only concession to technology (in materials) is the titanium used for the guides. Titanium is a material that allows the blank to flex with minimal disruption to the natural action. - to the mountains of China. The Bamboo is from China, the antelope horn from the 'Dark Continent,' the German silver from Europe, the black agate from the Rockies, the woods from South America, Australia and India, and the silk from Japan. The amount of labor involved in producing this rod is hard to measure, and the practicality may not justify the hours that have gone into it. But like the genesis of many creative endeavors, this was my escape during a difficult period of time in my life, and this process was not about this one fishing rod but more about creating a better experience - aesthetically as well as mechanically. As most devout fly-fishermen will describe, a fine rod should have soul... A fine rod should disappear in the hand. In my experience, this connection with nature is best achieved with rods made using natural materials, not synthetics.